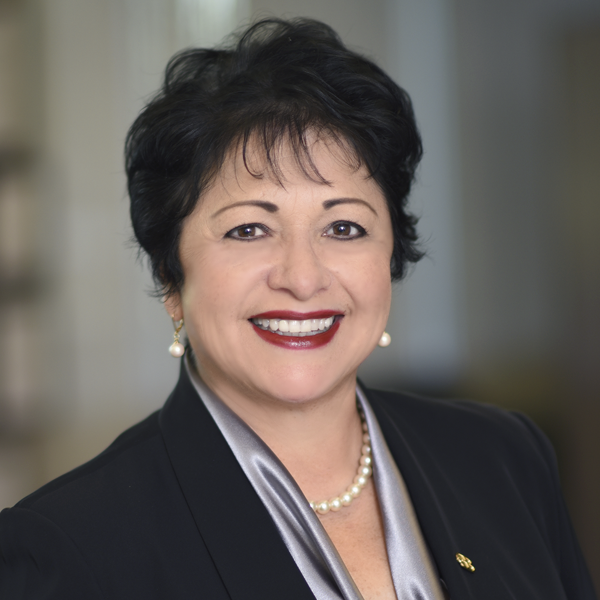 Elsa Zavala, Executive Vice President and Chief Information Security Officer, has over 25 years of experience in information systems, operations, and technology. Her professional career began with General Bank, where she served in various capacities from 1980 through 1993. She was hired by the Bank in July 1993 as Director of Information Services. Her responsibilities included management of computer operations, networks, and backroom operations. In 2007, she was promoted to Executive Vice President and Chief Information Officer, Information Technology Division. She is a graduate of the Instituto Commercial Ingles, Monterrey, Mexico. In 1998, she received an undergraduate Banking School Degree from BAI Banking School at the University of Wisconsin – Madison. Other education includes Advanced IT Management from Cal Poly Pomona’s College of the Extended University, Leadership Development from USC Marshall School of Business, Compliance Management from University of Oklahoma, and Leadership and Executive Development from Gartner CIO Academy, CIO Institute and CISO Institute at UC Berkeley, Leadership Development and Organization Leadership from California Bankers Association (CBA), Predictive Index (PI) and Certified Cyber Security Architect (CCSA). Elsa is a member of Financial Services Information Sharing and Analysis Center (FSISAC), Information Systems Security Association (ISSA), Project Management Institute (PMI), Information Systems Audit and Control Association (ISACA), Evanta (CEB Company) CIO Executive Forum, and InfraGard, Los Angeles (Alliance with FBI, Homeland Security and Infrastructure).